Babbel language learning app is offering 50% off when you subscribe to a 6+ month subscription! Babbel language learning app is offering up to 50% off when you subscribe to a 24-month subscription – last day! 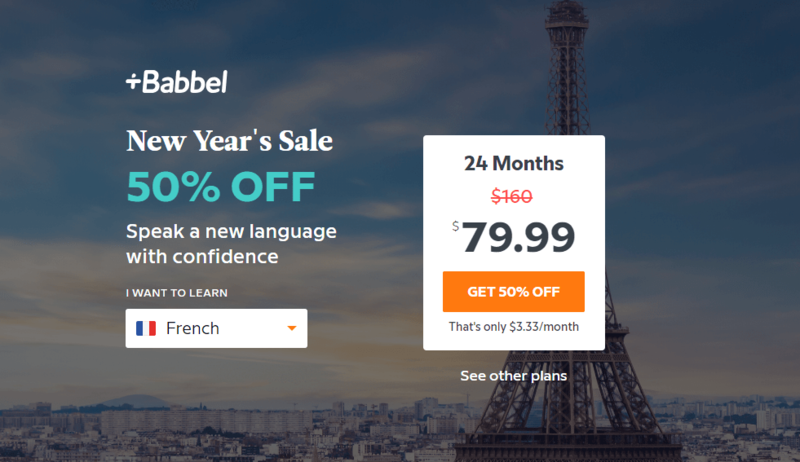 Babbel language learning app is offering up to 50% off when you subscribe to a 24-month subscription this New Year! Babbel language learning app is offering up to 50% off when you subscribe to a 6+ month subscription on Cyber Monday! Babbel language learning app is offering up to 50% off when you subscribe to a 6-month subscription!